Thousands of Earth scientists are in San Francisco this week to talk about climate change, volcanoes and earthquakes. And another tectonic topic: President-elect Donald Trump. As president, Trump will oversee a huge government scientific enterprise. Agencies like the National Oceanic and Atmospheric Administration and NASA have satellites collecting valuable data on the climate. 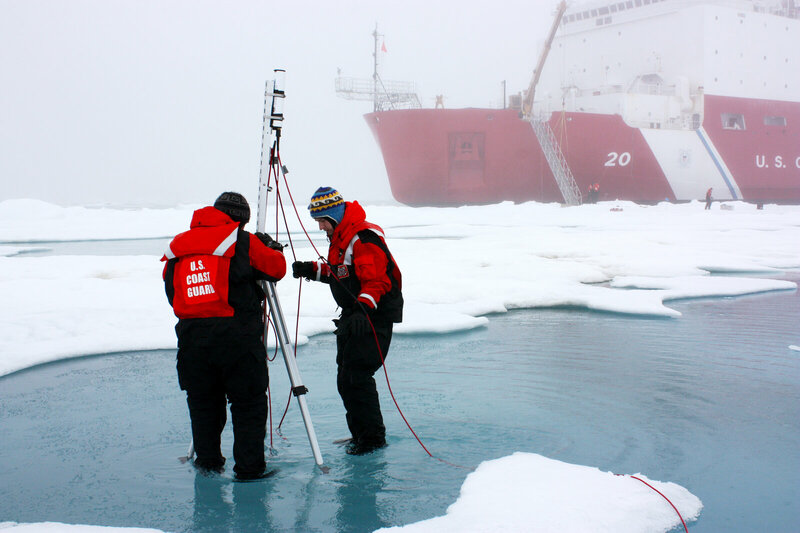 Other agencies employ scientists studying that data, or modeling future climate shifts. Trump has sent contradictory signals about how he regards climate science. He tweeted that climate change is a hoax. Many of his advisers and Cabinet picks, including his pick for administrator of the Environmental Protection Agency, doubt that climate change is a serious problem. On the other hand, Trump met with former Vice President Al Gore to talk about climate, and he has said he’s open to the Paris climate agreement. Margaret Leinen, the president of the American Geophysical Union, says that leaves many scientists confused about what Trump will mean for their work. “President-elect Trump didn’t have a big science agenda. That left a vacuum of uncertainty,” she says. Recent signals from the Trump transition team are not reassuring. Last week, it emerged they had sent a questionnaire to Department of Energy staff looking for people who’ve worked on climate science. Some fear agency scientists and officials might be targeted. And a Trump campaign adviser wrote that NASA should spend less on its armada of satellites that observe Earth — and more on exploring outer space. Former NASA climate scientist Drew Shindell says that would be a mistake. “A shift away from focusing on data for this planet could really leave us in the dark on how to respond to climate change,” he says. Shindell is a professor at Duke University now. He says researchers everywhere depend on scientists inside the government who gather data. And those scientists are vulnerable. Ecologist Jim Estes worked at the U.S. Geological Survey during George W. Bush’s presidency. He says in 2005, USGS suddenly decided that its scientists should submit their research to political overseers before sending it out to scientific journals. Federal agencies have now adopted rules to protect their scientists. But Estes says under the Obama administration, government scientists haven’t always been encouraged to speak publicly. Estes says he is especially worried about Trump, though. “This guy is such a chameleon, you have no idea what the hell is going to happen,” he says. That’s what people at the AGU meeting are trying to figure out. AGU’s Leinen, who runs the Scripps Institution of Oceanography at UC, San Diego, says it’s worth noting that previous presidents have changed their minds. She was a senior official at the National Science Foundation when George W. Bush moved into the White House. “There were several things that he said on the campaign trail regarding the environment and climate which eventually … were moderated,” she says. Thanks in part to knowledgeable advisers, President Bush eventually acknowledged that humans are changing the climate. Leinen added a last-minute session here to talk about Trump. But she’d also like the opportunity to talk to Trump face to face about climate. Others here at the meeting have decided not to wait. They’ve organized something you don’t often see from scientists: a public demonstration later today to tell Trump not to interfere with climate science.